A typical meal from a Chinese restaurant in the U.S. wouldn’t be complete without fortune cookies, wonton soup and some orange chicken. However, in China, this couldn’t be further from the truth. There are no fortune cookies, wonton soup is typically only served for breakfast and orange chicken will be difficult to find on the menu. When graduate student Chao Yu left her home in Qingdao, China to attend the University of Miami, she expected some culture shock. Yet, she did not realize food from her homeland would be prepared differently to please the American palate. Yu notes that dishes such as orange chicken and honey chicken are not regularly served in China. Eating in Americanized establishments like Panda Express (located on campus) can feel disappointing. International students who attend college in the U.S. are in a position similar to Yu. They struggle to satisfy their cravings for authentic cuisines that remind them of home. Senior Rakan AlSabah’s favorite dish, Machboos, reminds him of his home in Kuwait. Machboos is a popular dish made of rice with different forms of protein. The dish is usually served during lunch, the main meal of the day in Kuwait. Making good Machboos is considered a sign of culinary excellence, AlSabah said. Sophomore Avisha Gopalakrishna, who was born in Hong Kong but grew up in India, loves pan-Asian cuisine, from shumai, which are pork dumplings, to Indian classics like biryani, a rice dish made with spices, vegetables and meat. AlSabah has tried to find local restaurants that serve Machboos but hasn’t been successful. Instead, AlSabah shops at ethnic markets to make his own Machboos and some of his other favorite dishes such as Om Ali, a dessert made with puff pastry, milk and nuts. Sophomore Marcus Lim’s favorite dishes are those that remind him of what he used to eat at home in Singapore, from dim sum to rice and noodles. “The ethnic dishes I like are anything Asian, so that means Chinese, Japanese and Korean,” he said. When Lim looks for Asian cuisine near campus, he is disappointed in the food’s authenticity. Restaurants like Stir Moon and Moon Thai, popular among students due to their proximity to campus, aren’t the best, he said. Instead, he also goes to Asian grocery stores. Chef Mercedes Varela-Mendez teaches a series of globally inspired cooking classes at the Wellness Center. The themes for this semester have included Moroccan, Mexican, Italian and Thai cuisine. She always keeps international students in mind when planning her courses since she hopes it’s one way she can connect them to something familiar. “You’re young, you come to the university, everything is new, everything is different – the food is different, the culture is different, so if I can give at least those two hours that they’re here something that they know or they have tasted from wherever they are from, that’s rewarding,” she said. She draws inspiration for the menu from her own exposure to international cuisine while she studied at Le Cordon Bleu College of Culinary Arts Miami. She was introduced to food from around the world and wanted to share it with others. 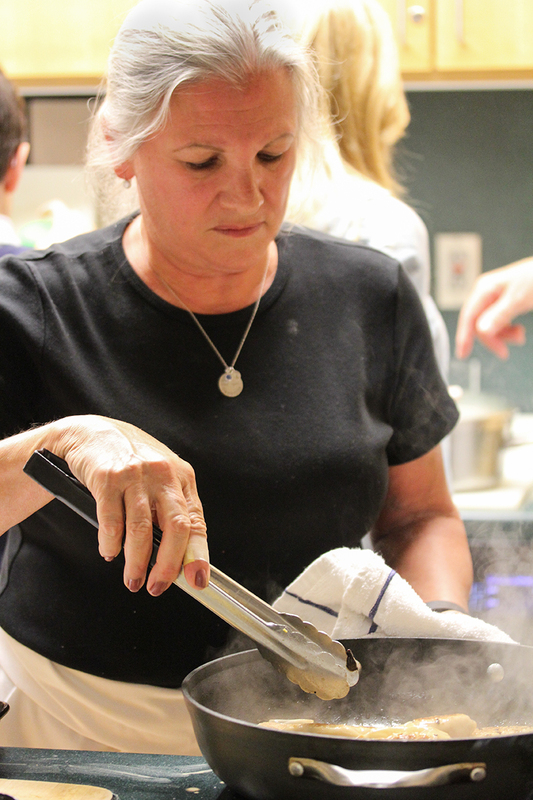 “To learn something new, to taste something new, to enjoy something new and, even better, to cook something new that you’ve never done before,” Varela-Mendez said about her cooking classes. While it can be challenging for a college student to cook every day, students like Gopalakrishna, who live on campus without a kitchen, have to rely on restaurants near campus to find their favorite dishes from home. “While Miami does have a large variety of cuisines to choose from, it has been a struggle for me as a college student to find affordable ethnic restaurants,” Gopalakrishna said. One restaurant that she does go to for Indian food is Bombay Masala near Sunset. Varela-Mendez says the problem is often that American restaurants serving international foods try to please everyone’s palate and lose the cuisine’s authenticity in the process. Gopalakrishna, vice president of the Council of International Students and Organizations (COISO), said the campus organization plans events throughout the year like International Week and incorporate ethnic dishes into the programs to allow for students to try food from around the world. Smaller socials like potluck dinners that COISO holds invite students to cook or bring ethnic food to share with others. Yu believes there is a large community of international students from China at UM, and they enjoy getting together for parties and eating familiar foods like a hot pot, a simmering stew of meat and vegetables. Like most Chinese dishes, it is served family style, with several people eating out of the same dish and enjoying the company as much as the cuisine.